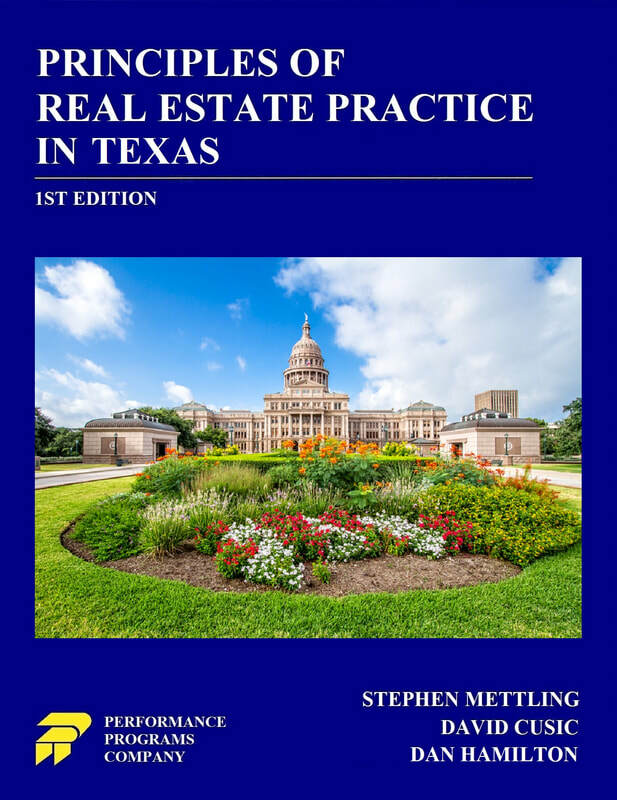 Principles of Real Estate Practice in Texas contains the essentials of the national and Texas real estate law, principles, and practices necessary for basic competence as a real estate professional and as mandated by Texas license law. It is based on our highly successful and popular national publication, Principles of Real Estate Practice, which is in use in real estate schools nationwide. Principles of Real Estate Practice in Texas is streamlined, direct and to-the-point. It includes multiple learning reinforcements. It has a student-oriented organization, both within each chapter and from chapter to chapter. Its examples and exercises are grounded in the authors’ many years in real estate education. Can Principles of Real Estate Practice in Texas be used for the online prelicense and/or CE courses? Absolutely. Principles of Real Estate Practice in Texas and our other books can be used for online courses through our company’s unique licensing agreement. Our material can be used either to develop new courseware or to improve existing online courses. Once we receive a signed agreement, we email all the digital formats (PDF, Word, ePub) of the textbook and supplemental resources that you can use to create or improve your own online courses. The materials can be copied in the screens, used for reading assignments, converted into audio/video/PowerPoint, etc. behind your school’s learning management system. Feel free to ask us for more information regarding licensing and to see our textbooks’ licensing agreements. 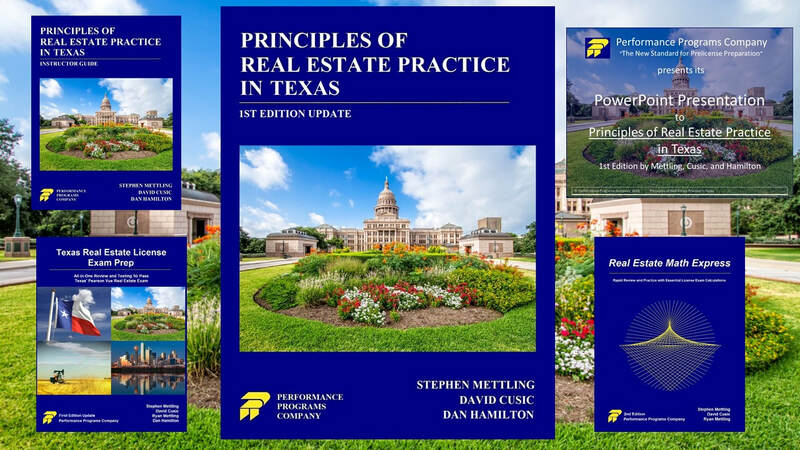 Call or write today for your complimentary copy of Principles of Real Estate Practice in Texas by Mettling, Cusic, and Hamilton. Find out why more and more schools are switching to Principles of Real Estate Practice in Texas! Dan Hamilton is an accomplished, nationally and locally recognized real estate author, trainer, educator and broker with an illustrious career in Texas brokerage practice and real estate education spanning over 25 years. As a broker, Mr. Hamilton owned and operated numerous Century 21 offices in Azle, Burleson and Southwest Fort Worth. He was awarded the honor of the National Who’s Who for business for 1996, 1997, 1998, 1999, 2000, 2001 Top Office Producer; Certified Relocation Specialist New Agent Trainer; Multi - Million Dollar Club; Top Ten on Board of Realtors, and Member Super Stars Top Producers Group.